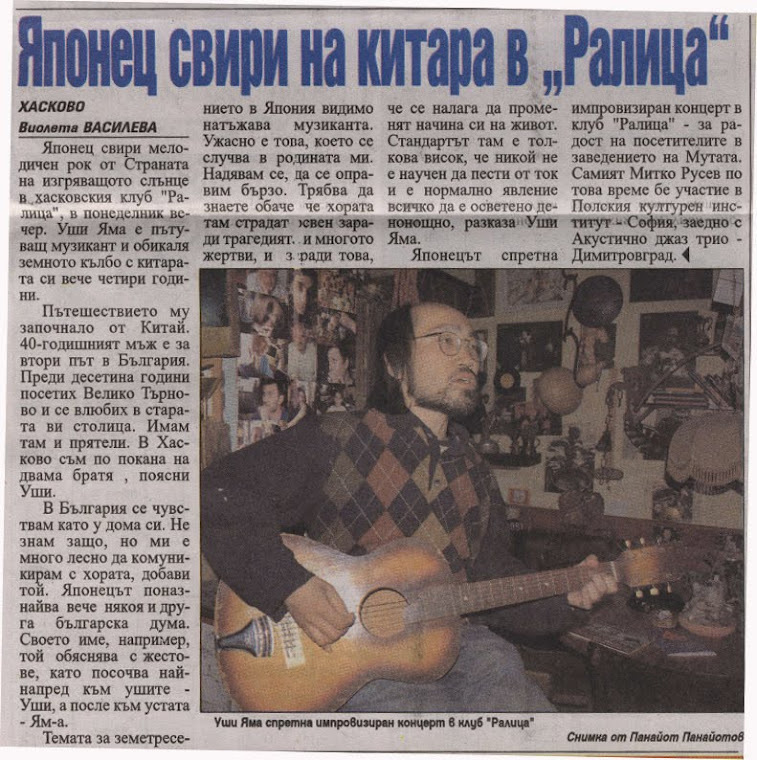 fortunately I remembered it in Chisinau by my 2 live concerts. but I hopw I will write all of my journey since I left July 2007,to here someday. with my son who was born last year(one year old). Sometime i visit your blog and lookforward new one. I think you're a great japanese rock'nroller! talk with you many things. So i hope your good journey. PS: Kuggata move to ohsaka this year august. He is twitter friend now. Wao,Hideki Narita? I think,once I sent you postcard from western China 3 years ago but no answer,,anyway Thanks! I never forget your singing voice,it was a kind of culture shock before I start travel. Be a good father! I will start to write blog here from today,maybe.